I consider myself decidedly unartistic. I’m not sure that’s even a word. Spell check is giving me the squiggly red line. However various online dictionary resources tell me it’s an adjective meaning lacking artistic talent. So, I’m going with it. My art deficient self stumbled upon a YouTube channel that I absolutely love. It’s called Art for Kids Hub and each video gives step-by-step instructions for simple drawings you can do with your kids. I didn’t feel like a complete idiot when drawing this rabbit. It was amazing. Rob, who directs the videos is very encouraging as he walks his own (adorable) kids through each drawing. Even the smallest little munchkins will be successful following his easy instructions. Rob draws with Sharpies and nice white paper. For our first foray into drawing, I chose pencils and lined paper instead. 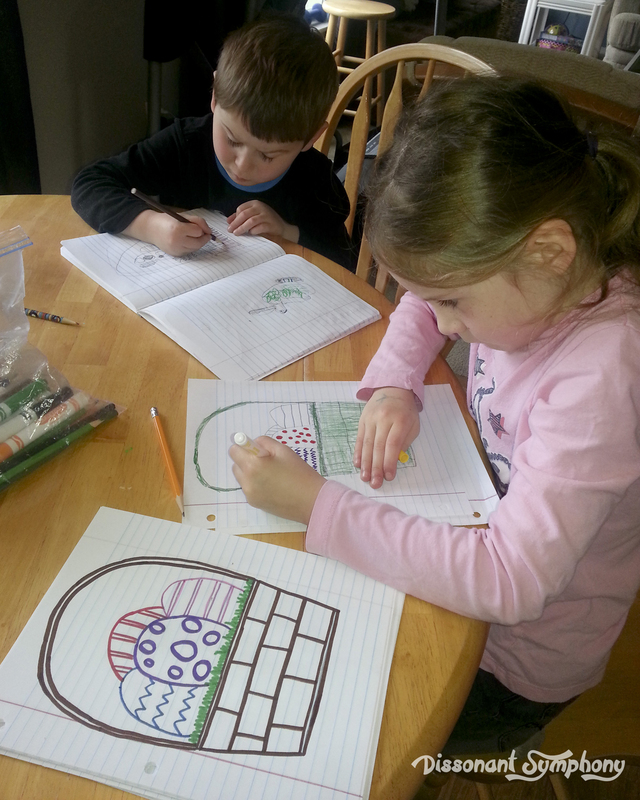 Then, ignoring the fact that I did not do the eye “correctly”, we moved on to Easter baskets. And I (gasp!) did mine with a marker. Ooooooh. Look how much I’ve grown. Rob’s lessons also introduced me to the joys of pastels – which I utilized when we did a Georgia O’Keeffe project this year. I’ll be blogging that some time soon. Rob clearly has a passion for making art approachable for kids, and encouraging families to participate in these projects together. Love it! 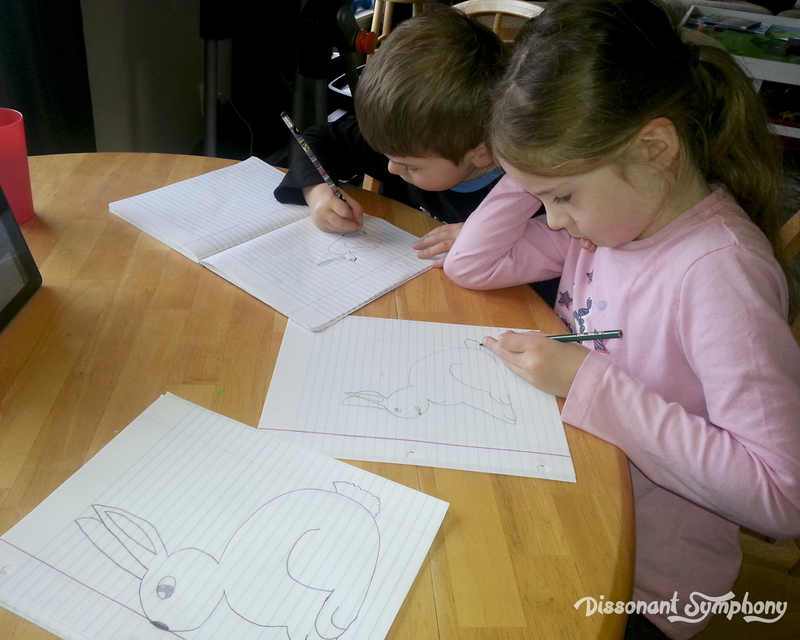 These video lessons make for a quick and easy artistic afternoon. You can subscribe to their website and receive printable step-by-step instructions each week. Ya know, if you are more of a paper instructions kind of person. Enjoy! Thanks Rob!